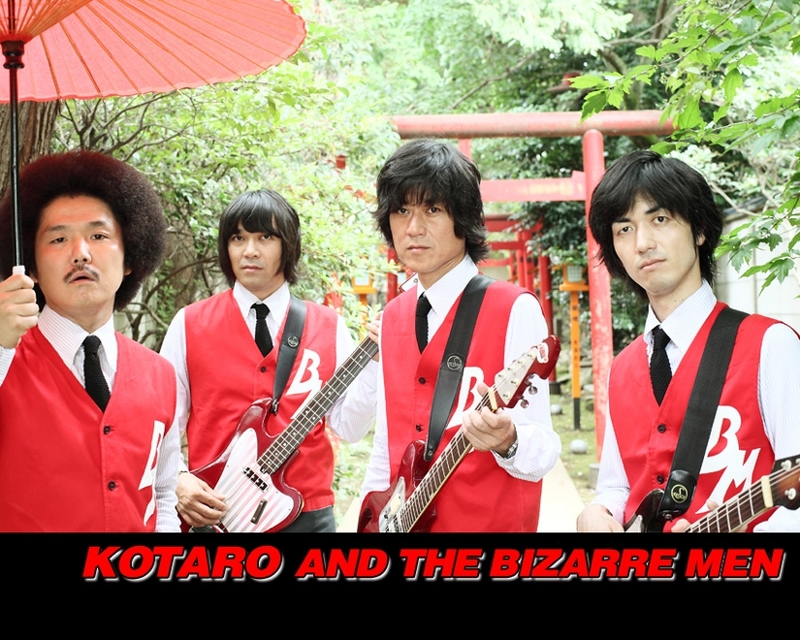 KOTARO AND THE BIZZARE MEN is a Electric Guitar band in Tokyo, and they love japanese Rock and POP music in the 60's. The music instruments they're using are all TEISCO's.TEISCO was very popular guitar brand in the 60's japan. Yes!! They never use GIBSON,FENDER,MOSRITE and RICKENBACKER. Only TEISCO. 'Couse They are really Bizarre people. Hisashi Bizarre on bass and Vocal. and Kotaro Bizarre on the lead guitar and vocal are also the members of THE COLLECTORS,which is a very famous MODS band in Japan.